Unique Experiences. Hands-On Classes. Insider Access. 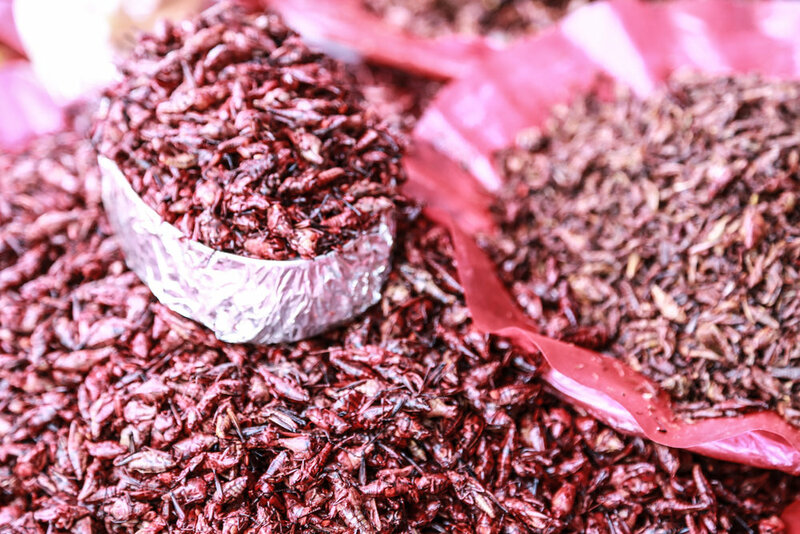 Dreaming of eating your way through Oaxaca? Come join us! Starting March 2019 Salt & Wind founder, Aida Mollenkamp, will pair up with Kristen Kellogg of Border Free Travels to host a group trip to one of the most classic food and cultural spots in Mexico. 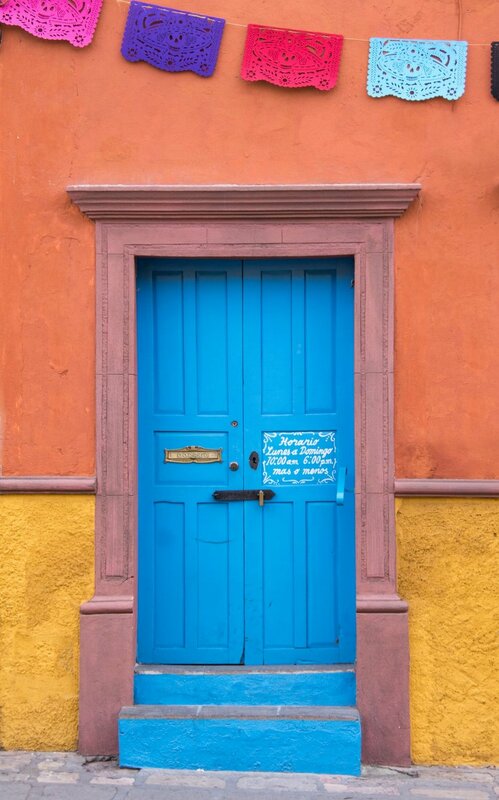 Join our group trip or have us create a custom Oaxaca itinerary for you! Colonial Architecture. Lively Art Scene. Legendary Cuisine. The word is out on one of our favorite regions in Mexico: Oaxaca. We’ve been fans of this corner of Mexico for a long time — Kristen even lived there for a month on one of her first-ever trips to Mexico! And one minute in Oaxaca and it’s easy to see why: the colorful Colonial architecture, the festive environment, and food that’s argued to be the best in Mexico — there’s a lot to love. Traveling with us is no ordinary group trip though! You’ll meet our local friends who are experts in everything from design to food. Kristen will share her incredible photos skills and you’ll cook all the things with Aida! The ladies previous experience hosting group trips to Mexico means they know the ins and outs of the local culture and will show you everything they love from the best moles or rustic mezcal spots to hard-to-find handmade wares. Each of group travel experiences is unique, so we don't have a set Mexico itinerary. However, we work with the same partners to guarantee quality across all our trips. During our group trip to Oaxaca, we’ll stay at a local boutique hotel with fabulous service. Located in the city center and with artistic vibes, the hotel will give you a sense of all we love — local design, incredible hospitality, and great food — about Oaxaca. WHY ARE YOU TRAVELING TO OAXACA CITY? Why did you guys choose Oaxaca City? Oaxaca City needs no introduction but now more than ever it's one of our favorite places to visit. As the epicenter of Mexican culture, there's a mix of ancient and contemporary in everything from the design and culture to the history and the food. What sort of traveler would enjoy the Oaxaca City trip? Our Oaxaca City trip is for an food lover who wants to get after it and get a taste of Oaxaca City. It's a long weekend filled with everything from high end to authentic experiences, hands-on workshops to expert-led tours, and everything is carefully curated by your hosts, Aida of Salt & Wind Travel and Kristen of Border Free Travels. The entire itinerary takes place within about 50-mile radius so there’s not too much car time. And, we do our best to break it up so you never have to be in the car for more than 90 minutes at one time. Of course, unforeseen circumstances or traffic could cause delays but we’ll do our best! What is the weather like in Oaxaca City in the Fall? What should I pack? We travel to Oaxaca during shoulder season so the weather is pleasant and not too hot or too cold. The key to Oaxaca City is to wear layers because the mornings tend to be chilly but it can be sunny and hot by the afternoon. Oh, and definitely pack an umbrella or a rain jacket because even in the non-rainy season storms can come through. We'll meet at the hotel in Oaxaca City; however, we can definitely help you get there so just ask! Oh, and once you book your trip, we’ll send you loads more information about the trip specifics including exactly where to meet, what time to meet, and, of course, a contact person you can call if you're running late. We do not directly book flights nor does the trip price cover airfare from your hometown to Oaxaca City. But, we can help! Just ask and we'll connect you with our travel agent who can assist you with those details. Great! We plan to add on day trips or trip extensions to the trips in the near future. For now, you can use our concierge (for an additional fee) to arrange additional tours, restaurants, or hotel nights. And, if you want to stay longer in Oaxaca City, we can help you get preferred rates with our hotel partners. Look, earthquakes are a real possibility in Oaxaca City so it's best to be prepared. Just as we do in any other earthquake-prone city, we keep a pair of sneakers by the door and our phone, wallet, and keys close to our nightstand in case of emergency. You can also look into buying a MedVac such as AirMed if you want to be able to easily return to the United States for medical care.